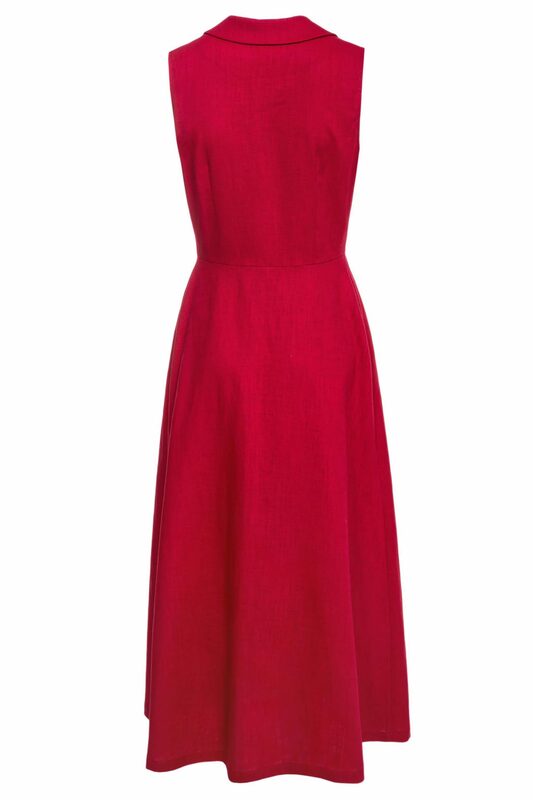 The Harriet midi dress is cut from breathable pre-washed raspberry red pure linen and features a couture button front fastening. 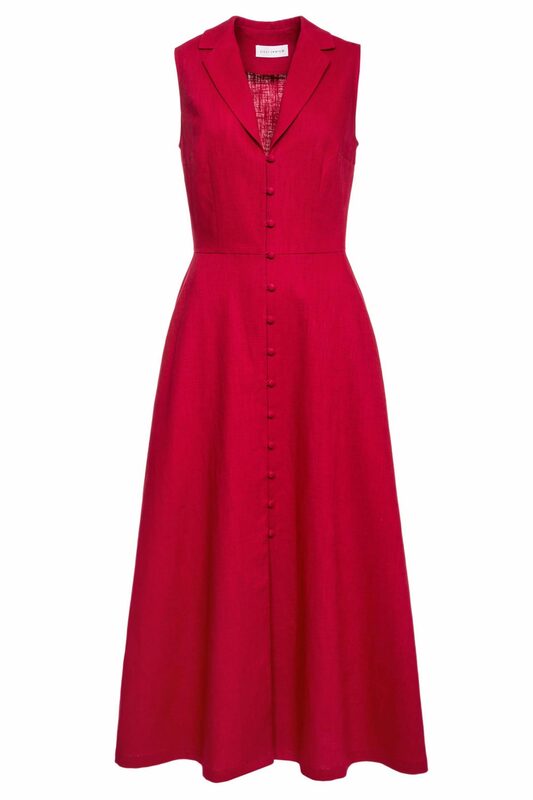 The sophisticated notched lapel shirt collar and midi length make it the perfect dress for hot summer days in the city. Styling tip: Pair it with flats or platform sandals for a retro-inspired look.